Lexington, KY - Don&apos;t miss out on an action packed Saturday night at the 2016 CP National Horse Show! Join us on Saturday, November 5th to cheer on 2016 Rio Olympians in the Kentucky Horse Park&apos;s biggest show jumping event of the year, the Longines FEI World CupTM Jumping at 8pm! Come early for entertaining activities for the whole family, beginning with the Miles for MiracleFeet 5k at 5pm! Stay for a Breeders&apos; Cup Viewing Party in Gracie Street Garden, over 40 boutique vendors on the concourse, and bourbon tastings from 5:30-8:30pm! Kick off your evening with the Miles for Miraclefeet 5K at 5pm to stay fit and support a good cause at the same time. All donations, and a portion of each registration will be donated to MiracleFeet. MiracleFeet envisions a world in which all children born with clubfoot receive treatment, enabling them to live fully productive, active and healthy lives. Participants will get free admission to the horse show and Breeder&apos;s Cup Viewing Party with their race registration. A Breeder&apos;s Cup Viewing Party presented by Brook Ledge Horse Transport will take place in the Gracie Street Garden. Cheer on your favorite thoroughbreds and have a bite to eat before the main jumping competition at 8pm. Food and beverage will be available for purchase while you watch the races. A trip to Kentucky is not complete without tasting the world famous Bourbon that it is known for. 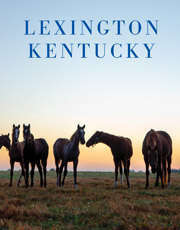 At this year&apos;s CP National Horse Show you can do just that at the Lexington Bourbon Experience presented by the Lexington Bourbon Society. Join us in Gracie Street Garden from 5:30-8:30pm on Saturday evening to taste bourbons from Alltech Lexington Brewing & Distilling Company, Buffalo Trace Distillery, Four Roses Distillery and Maker&apos;s Mark Distillery. In addition to these fantastic events you can start your holiday shopping on the main concourse with over 40 boutique vendors to choose from. From equestrian-inspired décor and fashion to jewelry and art to specialized farm equipment and supplies, and of course, the latest in apparel for the equestrian and non-equestrians alike. Take a break from the action in the main arena and take a stroll around the concourse and get prepared for Christmas early with unique gifts that only the CP National Horse Show can provide. And don&apos;t forget to grab a bite to eat while you&apos;re out there, keeping in mind, the arena is just steps away when you&apos;re ready to get back to the show. Following the viewing party, join us for Longines FEI World CupTM Jumping Qualifier at 8pm. Don&apos;t miss out on this chance to see world class riders compete in the biggest show jumping event of the year at the Kentucky Horse Park. This event is especially important this year with the World Cup Finals being held here in the United States in Omaha, Nebraska. Only the top riders can gain a slot in Omaha, so each point in a World Cup qualifier is very important. General Admission tickets for Saturday are only $10, and can be purchased here. Kids 12 and under are admitted free. With over $800,000 in prize money offered, the 2016 edition of the CP National Horse Show has again been designated a CSI-W 4* show by the FEI. The International Open Jumpers will compete for almost half a million dollars in prize money, while the top rated hunter sections have a total purse of $195,000. Meanwhile, $130,000 in total is offered to the Amateur-Owner and U 25 Jumper sections. The world&apos;s best international competitors return for the 2016 CP National Horse Show, which will take place November 1-6, 2016 at the Kentucky Horse Park in Lexington, KY. Founded in 1883 at the original Madison Square Garden, the National Horse Show is America&apos;s oldest indoor horse show, firmly established as a major fixture on the national and international sports and social event calendars. The National Horse Show Association&apos;s primary activity is the annual production of the National Horse Show and all ancillary events. Over the years, the National Horse Show has provided financial aid to many worthwhile charities.